Bey-Z was spotted leaving Bar Pitti in NYC over the weekend. 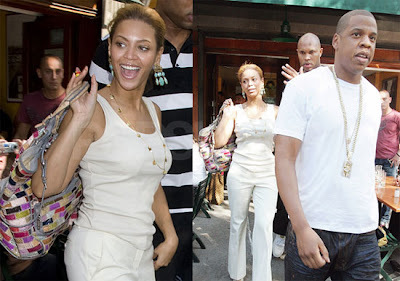 My dad and stepmoms have been pretty quiet since the nuptuals,but as you can see...Bey Still doesn't look preggers. Give it up stans!